This post is sponsored by Up TV. All opinions are 100% my own. I am a big Growing Up McGhee fan. I was sad to see season 1 end and have binge watched the entire season again recently in anticipation of the season 2 premiere that aired two weeks ago on January 12th. I think the attraction to the McGhee family is because they are so real. They’re a normal, average couple that went from two, to suddenly a family of eight after giving birth to sextuplets. Ro, Mia, and their six beautiful children are… REAL. Mia and Ro are my heroes. I’m a mom of one (1). Yes, just one boy and I cannot even fathom if there were five more of him. Okay, for just a brief moment I did imagine 6 of my son and had to stop, it was more than my imagination could handle. Seriously, though, I am amazed at how together they are raising six 6-year olds. Growing Up McGhee airs every Thursday night at 9:30 pm. ET on UP Faith and Family. If you’ve never watched Growing Up McGhee before or missed any episodes, you can catch up on the the episodes on UP. You can also watch other family movies and shows. Learn more HERE. I’m grateful for a channel that I know I can watch with my family… it’s good wholesome TV. If you’re not sure what channel UP is in your area you can check here – http://uptv.com/find-us. Right now there is a #GrowingUpMcGhee “Watch and Win” sweepstakes going on. Each episode will have a “Watch & Win” where you will see a clue in the commercial breaks. Then you submit the clue online for a chance to win $1000 during each episode. So before you start watching Growing Up McGhee on Thursday nights, go to: WatchUPandWin.com and you’ll be ready to watch and enter to win! I’ll be live tweeting some of the episodes and would love it if you would join me. You’ll definitely have to tweet me if you win the $1,000. I have my fingers crossed for YOU! Follow me @DonnaChaffins as I’ll be live-tweeting on 1/12, 1/26, 2/23, and 3/23. Oh, here’s something else really cool — every Thursday at 4 pm ET on Facebook live, one McGhee parent and one child will be doing a craft live. You will want to look for that. 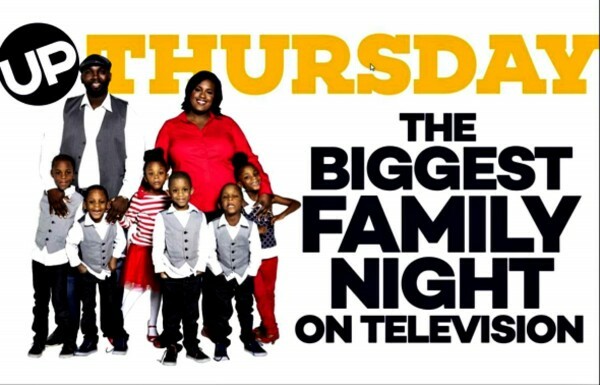 Be sure to tune in Thursday nights, join the fun, and see why Thursdays are the biggest family night on television! Wouldn’t this be nice to win. Thanks for informing us to watch. I’ve never heard of this series. I’d love to watch it. Thanks for posting!